After getting the above song from one of my favorite films out of my head, I knew I couldn't miss out on this limited time deliciousness. It was, indeed, cookie time! Passing the table, I made a mental note of its location knowing I couldn't juggle cookie boxes and sift through junk simultaneously. 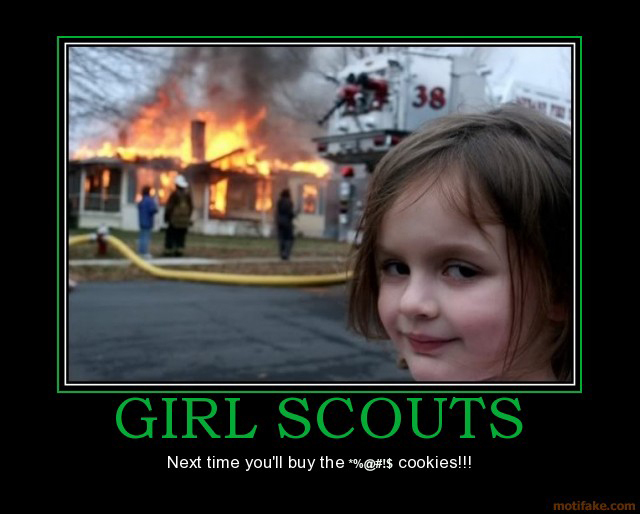 As my boyfriend and I were about 50 feet away, I heard the most terrifying sound imaginable: a quartet of impish young girls in green badged sashes sing songing in unison, "would you like to buy some girl scout cookies?" This brings me to an apparent new irrational fear to add to my growing list, children speaking in unison. I guess pop culture has programmed me to believe this kind of behavior always is due to mind control and clearly leads to murder. Jamie and I looked at each other and both shivered. "Good God, that was horrifying." We both looked over our shoulder as if they could smell our discomfort or maybe they were on our heals with machetes. Ha! Love this post! Those girl scouts have been outside of our Kroger off and on lately and the Mister and I always say that there should be a rule that they can't congregate in numbers. I once bought an ungodly amount of boxed pasta salads from that old grocery section at the flea market. 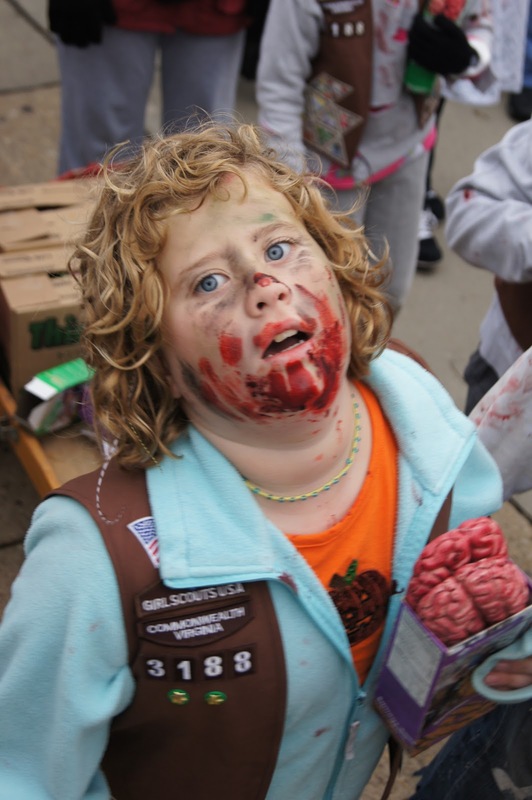 i haven't seen any cookies for sale this year! i should have gone to the flea market. i always seem to be working a schedule that makes it impossible to go. dangggit. I avoid the Kroger in Hermitage this time of year at all costs. Donelson has "less" in numbers. Beware of Lowe's though....although it's good prep for future zombie attacks, you can plan on which power tool will be most effective. We are afraid of the unison attack but even more afraid that they can see straight into our lying hearts when we say "I've already bought some, no thank you..." It's even worse when your six-year-old becomes a traitor and hugs one of them and screeches along with them. The horror.